sketch 41 is up at twisted sketches. 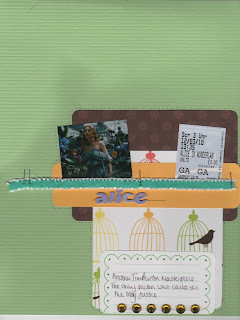 this isnt a great scan but as you can see, my Lo is about Alice in Wonderland. i should finally be picking my car up tuesday. if you want a new car and are impatient, buy off the forecourt. it takes forever if the car isnt in the country. nothing else happening here. a friend of mine is pregnant which is exciting, but other than that, its all quiet on the western front!! Love how you used the sketch! Great use of embellies. AWESOME job on this twisted sketch! fab details!